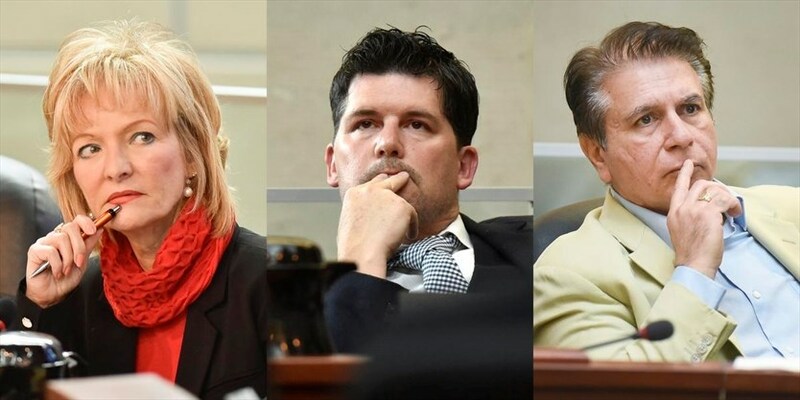 Three veteran city councillors are expressing interest in serving on the soon-to-be overhauled Hamilton police services board. Tom Jackson, Chad Collins and Judi Partridge are interested in filling the position vacated by Coun. Terry Whitehead who, after 12 years on the board, isn’t seeking reappointment. Jackson, who served on the board more than a decade ago, is well known for his interest in policing and public safety issues. Collins briefly sat on the board in 2014 after the death of board member and Coun. Bernie Morelli. And Partridge, now entering her third term as representative for Flamborough, says she wants to bring a comprehensive rural perspective to the table. It remains to be seen whether other newly elected councillors put their names foward when they meet Nov. 20 to choose which committees and boards to sit on. But clearly changes are coming to the police board. And not a moment to soon. Too often the board’s work seems to take second place to embarrassing infighting and dramatic allegations of misconduct more appropriate to a dysfunctional family than the governance body which oversees a $161-million police budget. In fairness, as Collins notes, at times virtually every public committee experiences similar difficulties to what the police board is going through. Think of the former HECFI board and Waterfront Trust. Certainly nobody questions the commitment and dedication of the board members. But it’s almost a blessing that its troubles seem to have come to head just as a turnover looms. Consider: A provincial oversight agency has now confirmed an earlier Spectator report that a misconduct investigation into one of the board’s members is moving to a disciplinary hearing. A spokesperson for the Ontario Civilian Police Commission (OCPC) says no date or location for the hearing against Walt Juchniewicz has been set. But if the adjudicators determine Juchniewicz is guilty of breaking the board’s code of conduct, he can be suspended or removed from the board. The timing is a bit odd because Juchniewicz’s term will expire after the new council chooses a replacement citizen appointee, which is expected to happen relatively early in the new year. But Juchniewicz, who strongly denies the allegation, wants to see the proceeding through to its conclusion to clear his name. The OCPC investigation into Juchniewicz’s conduct took place July 3 to Oct. 24. Unfortunately, the contents of the final report will likely remain secret. The agency says reports are “typically confidential in nature due to sensitive and personal information involved.”. Meanwhile, OCPC denies there are other ongoing investigations into other individual members of the Hamilton board. That appears to contradict an earlier comment from Juchniewicz’s lawyer. But, on the other hand, Whitehead himself has acknowledged that the board, if not OCPC, recently dealt with a conduct complaint against him from a member of the public. Whitehead suggests the complaint stemmed from photos of a traffic jam he tweeted from a vehicle, which led to online accusations he had broken provincial distracted driving laws. Whitehead says the car was parked at the time and the photos were taken by a passenger. Regardless, in its own goofy way the twitter fight and gotcha moment perfectly sum up the distracting noise surrounding some board members. To recap: The board has seven members — three appointed by the province, three members of city council, and one appointed by the city. The three council members are currently Whitehead, Lloyd Ferguson and Mayor Fred Eisenberger who automatically holds a seat by virtue of his position as mayor. The other two are appointed by council. Whitehead is bowing out. Ferguson is mulling over his plans. Juchniewicz’s time is limited. Provincial appointee Madeleine’s Levy’s term ends in January. Whether Jackson, Collins or Partridge make the cut, one way or another, the battered board is going to be refreshed and reconditioned, which surely can only help stabilize its wobbly image.